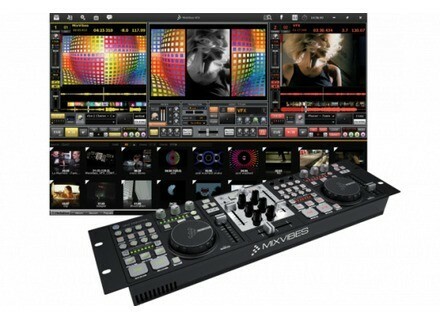 VFX CONTROL, VJ Equipment from Mixvibes. 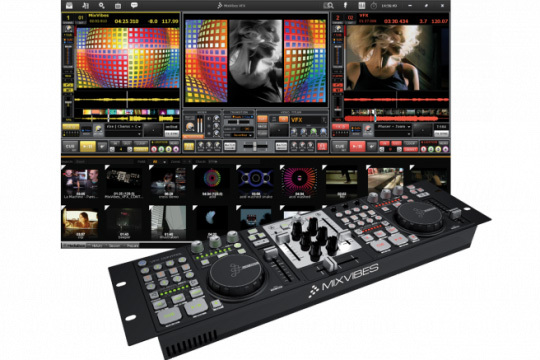 MixVibes announces the release of a new update of the VFX digital video mixing solution for Video DJs. 1 and 2 or 3 and 4 to mix up to 4 audio/video files simultaneously. If you don’t have any video content, you can enjoy the new feature that allows you to generate visual effects from the energy of the music. The new interface allows you to preview your video media by passing the mouse over the covers. The media management has also been optimized, according to Mixvibes, to handle multiple playlists and to do research with multiple criteria. More info about VFX 1.2 here. Sony Vegas Pro 10.0a Sony Creative Software has updated the just-released Vegas Pro 10 to version 10.0a.